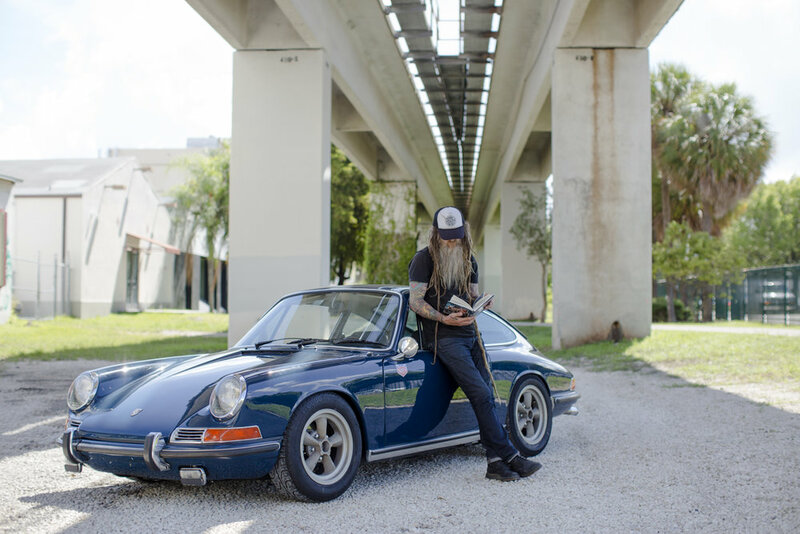 When Magnus Walker speaks in Miami this evening, he won’t be doing so as Magnus Walker, world-renowned Porsche enthusiast and accomplished film-location entrepreneur. He won’t even be doing so as Magnus Walker, celebrated fashion-designer and viral TEDx sensation. Instead, Walker will be making an appearance under a new title and with a new creative endeavor in tow: Magnus Walker, published author. Walker will be speaking tonight at Parkhaus1 Performance & Parts in support of his first book Urban Outlaw: Dirt Don’t Slow You Down. Although Parkhaus1 – an independent Porsche outlet – would seem like an odd place to hold a book signing, anyone who’s followed Walker’s career knows that this the only place such an event could have ever been held. 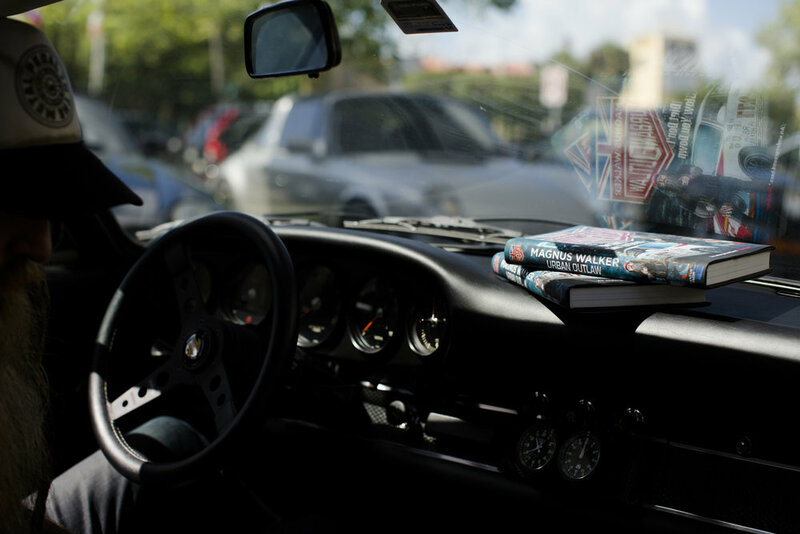 The 50-year-old author and Porsche junkie has accumulated a following in recent years for his iconoclastic look and bold approach to his passions. Evidently, he’s popular enough to produce a bidding war between publishing companies for his biography, a battle which Penguin Random House eventually won out. “I’m a guy that actually doesn’t read, believe it or not,” Walker tells City Gazettes. It’s difficult to believe that a man as worldly and well-spoken as Walker would be a reluctant reader, but then again, this is a man who seemingly never takes a break from exhausting his creative energies. Describing his Porsche collection and curation as “an out of control hobby,” Walker’s story and journey has resonated with onlookers, whether they’re Porsche fans or just people in search of their own narrative. Since leaving his hometown of Sheffield, England behind at the age of 19 to take a chance on America, Walker has demonstrated a tenacity and discipline that would boggle even the most regimented of individuals. Tonight’s signing will mark the first in a series of stops in the United States. According to Walker, it was his idea to kick off the book tour in Miami; with its stunning views and winding roads, it’s no wonder that Walker has fallen in love with the Magic City. Come 7pm, Miamians will have the chance to share their passion with Walker, as well as grab a copy of Urban Outlaw. Even though he didn’t set out with a stated goal or overt authorial intent when working on Urban Outlaw, Walker won’t mind if his own life becomes inspiration for others.